Rachel Kohn Obut's life was impacted by last year's Sonoma Fires. Soon after, she was awarded an EcoFarm Conference Scholarship to help her put down roots and begin her own small farm called Little Moon Farm. 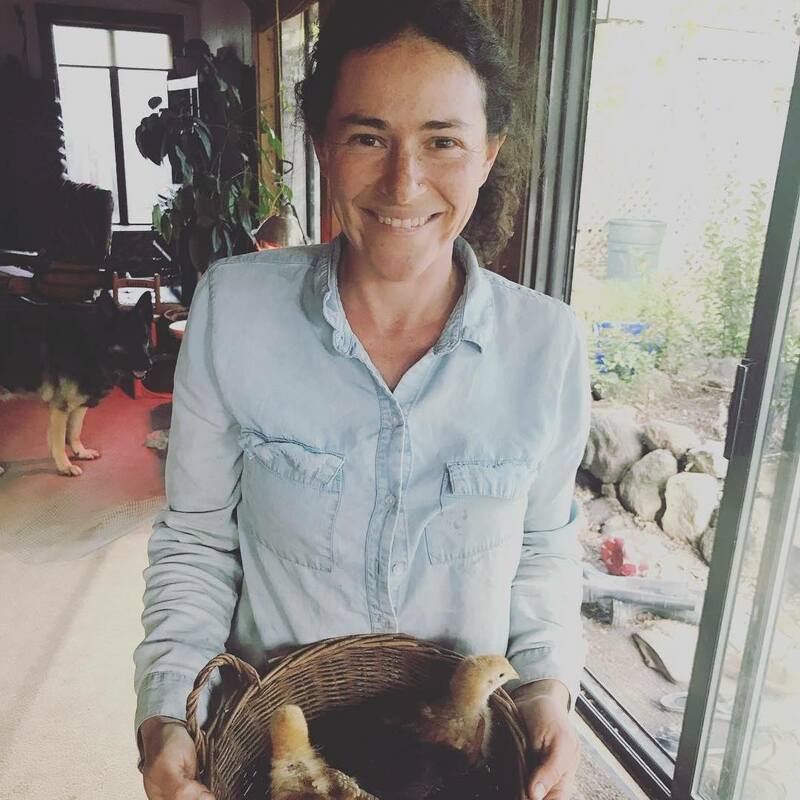 "The Scholarship I received to attend the 2018 EcoFarm Conference was so immensely helpful for me transitioning post-fire and starting a new farm business this year. For the past few years, I was managing a farm that suffered serious losses in the Sonoma Fires last fall. I had significant losses of income and property. I had recently moved from Sonoma to Napa county, and was ready to start my own farm business in Napa even before the fire, but really felt I needed to make it happen post-fire. I finally found the land in December 2017, while still struggling with financial hardship caused by the fire. As the EcoFarm Conference approached, I was feeling a lot of anxiety about starting my own farm, and, even more so, when I learned about the iron levels in the well water on the property and the acidic nature of the soil. The EcoFarm Conference gave me lots of opportunities to talk to farming experts about these specific concerns and potential solutions, as well as to receive lots of encouragement and examples that farming profitably on a small scale is possible. Being amongst such a community of farmers, and having my plans and ideas affirmed by others gave me confidence, knowledge and inspiration that I really needed to move forward and start my business. Now I’m about six months into farming this acre of land, and a month and a half into running a CSA program (in a city and county where there are very few other vegetable farms or CSA options). I continue to face challenges in the first year farming on new land, but feel more and more confident that I will make it work. The EcoFarm Conference helped me so much to get answers I needed at a critical time, as well as inspiration, community, and confidence. And I wouldn’t have been there without a scholarship." Now is the time to support beginning farmers like Rachel to overcome adversity by making a gift to the EcoFarm Scholarship Fund. Let's fund new EcoFarmers to attend EcoFarm Conference 2019 so they can build their "confidence, knowledge and inspiration" to grow into resilient farmers.